Shopping for a bookshelf speaker is hard and requires one to move from one shopping mall to another. The task becomes much harder when under a budget. Luckily for most buyers, bookshelf speakers under $1000 tend to sound well across a variety of music. If planning to purchase a bookshelf speaker, there are four basic things every buyer must take into consideration. 1.Space: Space is very crucial when looking for buying bookshelf speakers. The room must not be too big as the speakers may not be able to move the sound to all parts of the room. Small rooms of about 8 to 10 ft. are ideal for bookshelf speakers. These speakers require people to sit very close to them to be able to hear the music properly. 2. Music style: The type of music you listen to can be greatly affected or enhanced by the type of speakers you use. However, bookshelf speakers tend to play all music types well although some can be pump and thump. Some speakers are laid back and good options for acoustic or jazz music. Make sure you read the pros and cons of the speaker you want to buy before you make a purchase. 3. Associated Equipment: This is a crucial consideration when buying any type of speaker. The amplifier and any associated input sources must match the speaker you want to buy. 4. 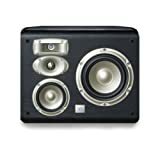 Home theater or stereo only: If planning to have a home theater soon, it is recommended you consider the speakers you want to buy. The bookshelf speakers you want to buy must have associated centers, sub-speakers and surrounds. The KEF X300A Wireless Digital Hi-Fi Speaker comes with two class AB amplifiers known to produce distortion free sound. These are some of the best speakers in the market currently with very unique features. The speakers are designed to work well for Windows 7, Mac OS version 10.6 backwards allowing users to stream music via Airplay. The speakers have a digital USB connection between them helping turn your smartphone, tablet or laptop into a source of music. You can expect very accurate sounds from these speakers no matter the type of music you are playing. 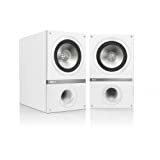 The KEF Q300WH Bookshelf Loudspeakers are another excellent option to bring the good sounds in your room. They use some of the latest technologies with aluminum U-Q-Driver. The brand new aluminum cone technology combines well with the bass drivers to ensure you get the best sounds. The cabinet space is 30% more ensuring the bass performance is increased. 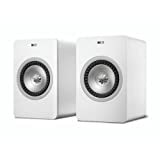 This is one of the best bookshelf speakers in the market and can handle almost any music and still produce some of the best sounds. The bi-wire terminals are newly engineered with gold giving a good look to the speakers. Make sure you consider this one if in search of the perfect bookshelf speaker. The JBL L820 4-Way High Performance speaker is what you need if you want sweet music to your ears. The speaker has some of the very best sound qualities when it comes to bookshelf speakers. The L820 is a great option for watching movies or listening to various performances from your favorite artists. The speaker fits well near your plasma TV or on the shelf dispersing sweet sounds to the listeners’ ears. They come with one inch pure titanium tweeter dome for releasing high frequencies. The aluminum wave guides properly guide the sound throughout the room. The three discussed bookshelf speakers above are a must have if planning to add a bookshelf speaker. They have all the unique features one would want in a bookshelf speaker but still cost little under $1000.